Through the spring, summer, and even the preseason wrestling practices three wrestlers on this year’s Falcon squad have kept up a high work ethic and mat aggressiveness that are becoming noticed. Much to the teams delight for a six minute high school wrestling match you are sometimes unsure what to expect from any high school freshmen starter. “Do not get pinned” or “try to wrestle a six minute match”, are often the direction given to freshmen and first year starters. But this has not been the case for three freshmen starters for Fauquier. 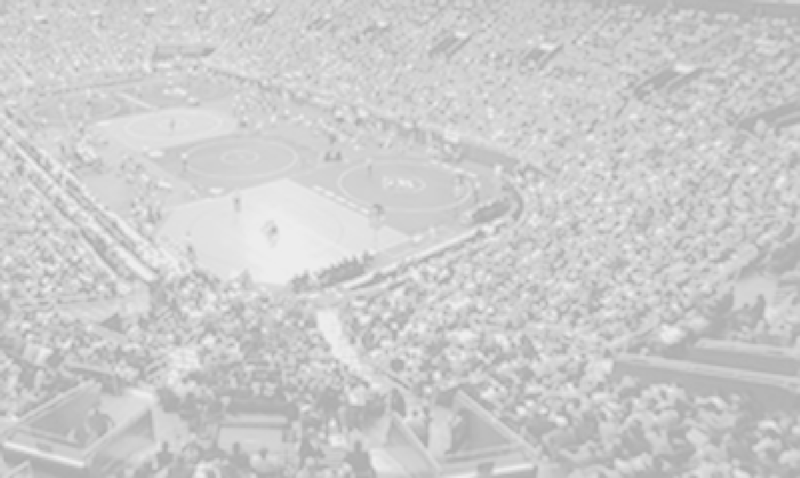 Spectators who pay money to watch wrestling will need to stop blinking in order to watch them put on a show on the mat. 106lb Caleb Strum, 126lb Garrett Tingen, and 138lbs Clifford Harris deserve a lot of credit for this year’s team transition from last. As Fauquier went into this year’s Mayhem at Millbrook tournament with only three starters in the event from a season ago, one could sense that every match was going to be tight. Only having three returners alone puts a lot of pressure on your under-classmen, but fortunately, they have stepped up and wrestled hard all season long. Caleb, Garrett, and Clifford each had three wins and a combined 8 pins that made the fan say-“that was a great match to watch”. As you may know pins give additional bonus points or team points; such as winning by a pin or tech fall a team gets an additional +2 or +1 team points. This was one reason why these freshmen helped contribute to the teams 4th place finish at Mayhem at Millbrook twelve team tournament. Garret Tingen made it to the finals along with senior teammate Max Strum as they both ended up taking a 2nd place finish. Clifford Harris had only one lose as he battled back for a 3rd place finish and Caleb Strum finished in 5th place. Mayham at Millbrook placed wrestlers into four pools of three as the first three rounds of the day had wrestlers wrestling in those pools for two matches. Then the tournament took the top two wrestlers from each pool and placed them into a seeded 8 man bracket as the tournament winners moved forward within the championship bracket. The tournament was designed so that every wrestler would get five matches. Winning the Mayhem tournament last year, Coach Fisher must had known that competing in Mayhem this year was going to be much to repeat as power house AAA-JW Robinson HS. and private school -St. Christopher’s were in attendance. But to have Fauquier enter and compete in a tournament as such one could say that Fauquier did get a little mayhem on their opponents. 113lb Daniel Ariola, 132lb Matt Raines, and 145lb Trevor Marable all earned a 3rd place status as 160lb Erick Lemus who went 4-1 took 5th place. Fauquier Nation let me say that this team likes to have fun which makes it easier mat side and in the bleachers waiting to wrestle. These young groups of wrestlers are finding ways to win and proving to themselves that they want keep the winning tradition alive. As Coach Fisher would agree that there is still plenty of work to be done to fix and improve each wrestler’s game as the team hits the midway point of the season. With a team makeup of mostly underclassmen vice Coach Fisher first two seasons that were upperclassmen laden, one must notice that the Fauquier youth programs are effectively producing ready wrestlers. What this freshmen class brings to the team and building on each wrestler’s traits will continue to be a challenge for Coach Fisher through the second half of the season, but for the winning ways to continue, eyes will now be on the freshmen. Round notes: Fauquier went 7-4 with 3 pins. Round notes: Fauquier went 2-4 with 1 pin. Round notes: Fauquier went 3-5 with 1 pins, for a total of 44 points. Round notes: Fauquier went 5-1 with 3 pins, for a total of 36 points. 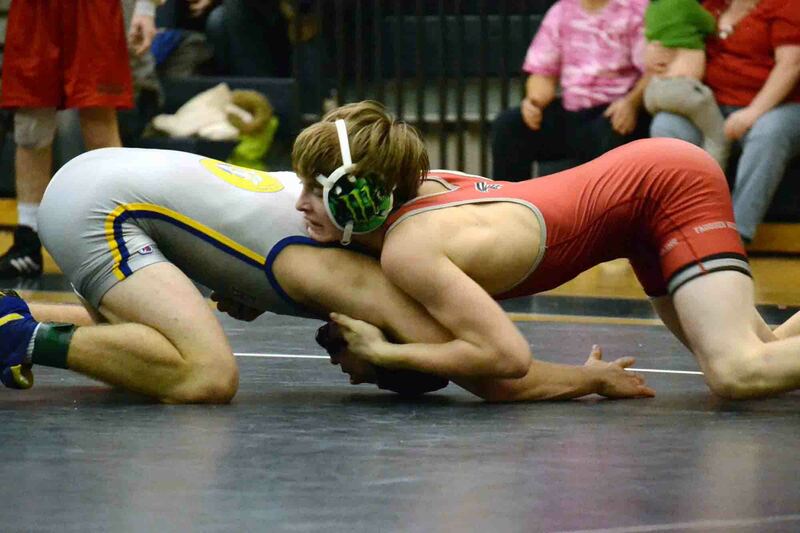 Round notes: Fauquier went 6-0 with 5 pins, thats 22 points.